In 2016, under the leadership of Tim Clarke and his staff, Wilson Golf dared to do something outside the box in an effort to increase visibility and presence of one of the most historic brands in the history of golf: Wilson-Staff. That idea was to create a reality based competition called Driver vs. Driver, to find outside of the box design premises and bring them to life in front of millions of television viewers with a half million dollar prize on the line. 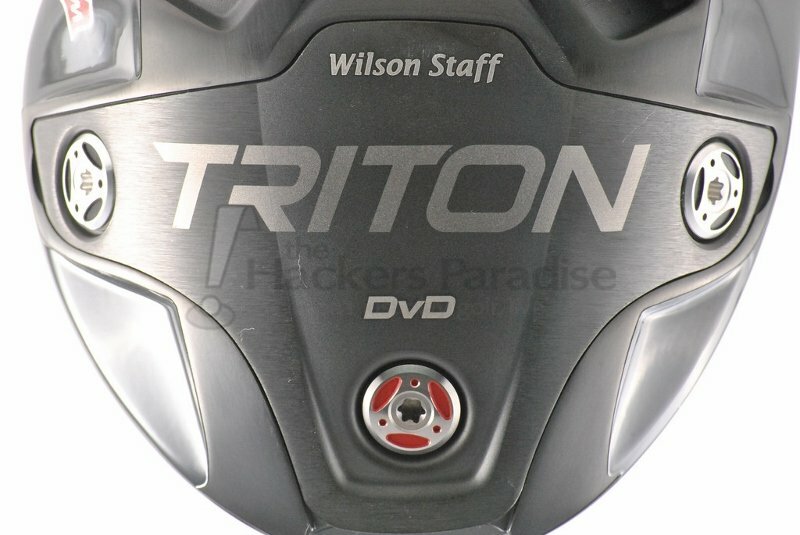 In the end, it was the Eric Sillies designed Triton that got the win, bringing a versatile option based driver to the market with more buzz than we had seen from Wilson in some time. THP was able to get the Triton in hand for review in a 10.5° loft paired with the Aldila Rogue Tour Silver 125MSI, in order to see just how flexible the design really was. The Triton driver is much more than just a driver which won a television design competition. There is a considerable amount of technology, as well as adjustability, built into the head which gives it the potential to be a tinkerer or fitters dream. Rather than just discuss these aspects periodically throughout this article, it makes more sense to single them out to explain not only what they are supposed to do, but if they actually played a legitimate performance role during the review. It is only appropriate that the most visible aspect of the Wilson-Staff Triton is the one that should be discussed first. The main focal point to Sillies’ design throughout Driver vs Driver was the alignment methodology incorporated into the design. The idea was to place a 1-to-1 alignment aid across the top of the driver because alignment is something that a large portion of amateur golfers struggle with. 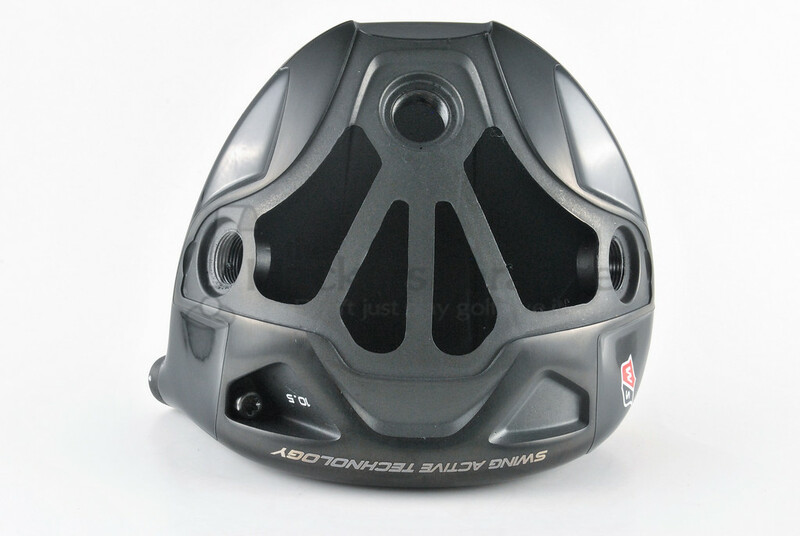 Beyond being the exact width of the golf ball, the other part of the design idea is that it being elongated to the back of the club can provide a visual cue for the golfer upon both the takeaway and in squaring the face at impact. In terms of tangible performance, the alignment aid on the Triton is unlike anything we have seen on a major OEM driver in terms of the contrast that it gives. Not only does the gloss silver stand out against the black of the crown, but how it is recessed into the crown gives for a much more purposeful aesthetic compared to just painting stripes on the head. How well does it actually work? That, unsurprisingly, will be totally up to the individual. For this reviewer, it became a sort of set it and forget it feature on the tee box before every swing. That said, the cliché phrasing that “after a while you don’t notice it” is true here as it is with most visual tech that is different. As Driver vs Driver progressed, it became evident the real star of Sillies’ design was its adjustability, namely the interchangeable sole plates and the idea of shipping a club with both options rather than making the consumer choose right out of the gates. 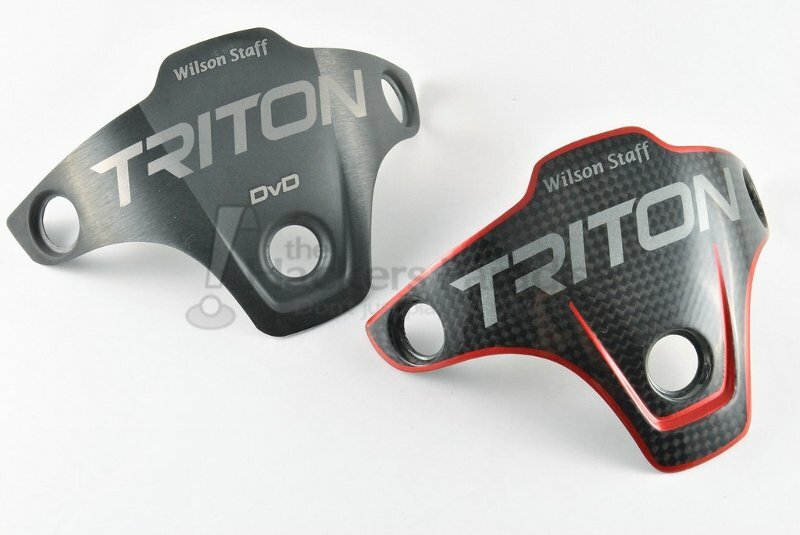 The Triton comes with both a Titanium sole plate which weighs in at 22g and a Carbon Fiber version that weighs 9g. The heavier Titanium plate will place the Triton in a higher launching configuration while the Carbon Fiber will drop both the launch and the spin for the user. Both plates are held in place by the moveable weighting which will be focused on in the following section. The idea is one that makes a ton of sense, truly altering the weight, balance, and CG of a design by changing the sole plate out entirely rather than just adding or subtracting moveable weights. The 13g difference between the two sole plates is a hefty one, too often golfers forget that club design is a battle over grams, and even half of a gram can make a considerable difference. During monitor time throughout testing, this reviewer actually saw a 500-600 RPM range decrease for his swing when going from the Titanium to the Carbon plate. This was tested on multiple different occasions and the results were consistent. Does that mean they will be the same for everyone? Absolutely not, but, the switch of plates definitely effects much more than just weights in this design. The technology here works. In addition to two differently weighted sole plates, the Triton also offers fine tuning through the use of the three weight ports on the head located heel, back, and toe. Initially, the drivers were to include a 12g, 6g, and two 2g weights, but as has been well documented after some issues with the USGA, that changed and the current stock weight offering is two 6g and two 2g weights. The idea here is that the draw and fade bias can be manipulated by placing heavier weights in the heel or toe respectively, and by placing the heavier weight back the launch can be improved. Thankfully, even without the 12g weight there is a plethora of weighting options. Time spent with the design during review proved that the weights weren’t simply put there as visible tech by Wilson and Sillies. Each time the weights were shifted there were concrete differences noted in the numbers that the head would produce. While some might clamor for those exact numbers, this reviewer believes it is more important to note that different swings will yield different results. For example, in the hands of a very good high school golfer 6g in the toe and 2g back as well as heel allowed for a flatter and more fade biased flight that he seeks. On the other hand, for the reviewer the best setup with both plates ended up 6g in the heel and back, then 2g in the toe as to add some draw bias as well as launch. While it is the opinion of this reviewer that it was a shame to lose the 12g weight as a stock option because it has the potential to make some significant alterations during fitting, as well as make the 9g Carbon Fiber plate swing weight easier, there is still ample ball flight alteration available in this three weight design. Even with eyes immediately going to the 1:1 alignment aid down the middle of the Triton, the head as a whole is a clean in terms of its shape, depth, and angles. The gloss black contrasts the silver alignment aid quite well and the recessed factor looks much better in hand than in pictures. Though the eyes go to the crown, the star of the design aesthetically is the sole. The Triton is breaking the mold of adjustability and the head has two totally different looks when switching from Titanium to Carbon Fiber (though most seem to prefer the look of the CF). It is when you take the plates off though that you see the coolest aspect of the head, you can see inside it. Not only is it just a fun feature, it can also serve to make it easier for people to add weight beyond the included weights should the user see fit, just something to think about. When it comes to performance, we know sound is directly linked to feel for many, and it is in that realm that the Triton has gotten a lot of mixed feedback. The driver is on the more boisterous end of things, it has a reverberation to it at impact that definitely will not be mistaken for anything muted. The Triton is at its most audible when the Titanium plate is in use, with the Carbon Fiber plate however, it does tone down a good amount. The hard thing about talking sound/feel is that it is definitely subjective, as we have seen with discussion on the Triton in its review thread on THP’s forum. However, it is still important to discuss because when trying out a driver in a store it is one of the most immediate forms of feedback that the golfer is getting. 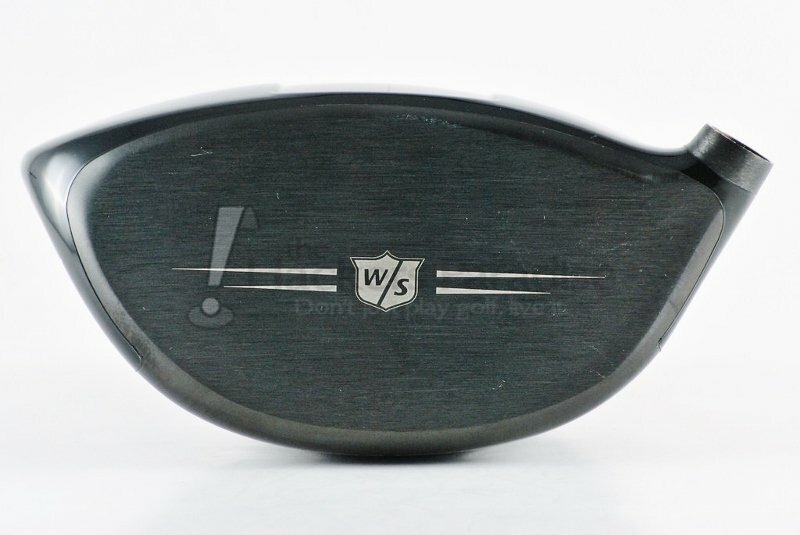 For this reviewer, it is not the loudest driver out there and it is nothing that deters play, but admittedly, it is an area where Wilson drivers in the past few years have seemed to draw the most critique. Performance is always there, but in terms of sound/feel it definitely creates some mixed emotions. The Triton is a surprisingly versatile head, thanks to the different moving and interchangeable parts, Wilson has a driver with the ability to hit a lot of different marks where spin and launch are concerned. During testing the Titanium plate averaged just over 1° higher launch and from 500-600 RPM’s increased spin compared to the Carbon Fiber setup for this reviewer. Additionally, when paired with the Carbon Fiber plate there was an overall increase in clubhead speed of about 1.8 MPH recorded when hit side by side with the Titanium plate and same interchangeable weight positioning. Clearly, the difference in weight between the two sole plates play a role here as the weight comparison of the heads came out to 203g and 190g comparatively when each were set up with two 6g weights and one 2g. Paired with the MSI 125 shaft that the driver was reviewed with, this meant the Titanium setup swing weighted 5 points higher than that of the Carbon one. This is the realm where it would have been nice to still have the 12g weight in the kit, but that is still something easily fixed thanks to the open design of the Triton’s sole. 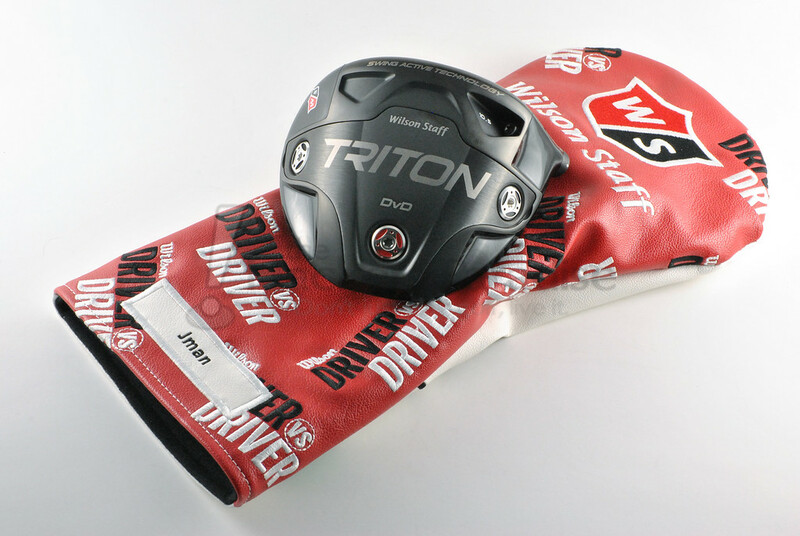 When compared to the other Wilson-Staff driver being released, the D300, one might assume the forgiveness level of that design would mean that the Triton is going to be a much more demanding driver, this reviewer found that to not at all be the case. The Triton saw the typical spin jumps and drops depending on face impact location, but the launch and direction that it retained on misses all over the face made it much more forgiving than the F5 which Wilson released last year. Shots to the extremes reacted differently depending on where the weights were set up in the head with more or less directional impact seen based on if the head was heavier in the heel or in the toe. Launch angles between the two plates were mentioned earlier, but as a whole the Triton was a mid-launcher for this reviewer who typically fights for added launch in drivers, the Triton ranged from 12.1° to 13.5° depending on the weight and sole setup with the highest launch coming with the Titanium plate installed. Something else that bears mentioning, there is much discussion as to the face angle of the club at address, many claim it to be closed, others that it is neutral, for this reviewer it does seem to sit slightly closed but the final verdict on that will vary by the person. Unfortunately for Wilson and the Triton, the USGA seemed to take some wind out of their sails from what the Sillies based design and the Driver vs Driver TV show initially created. 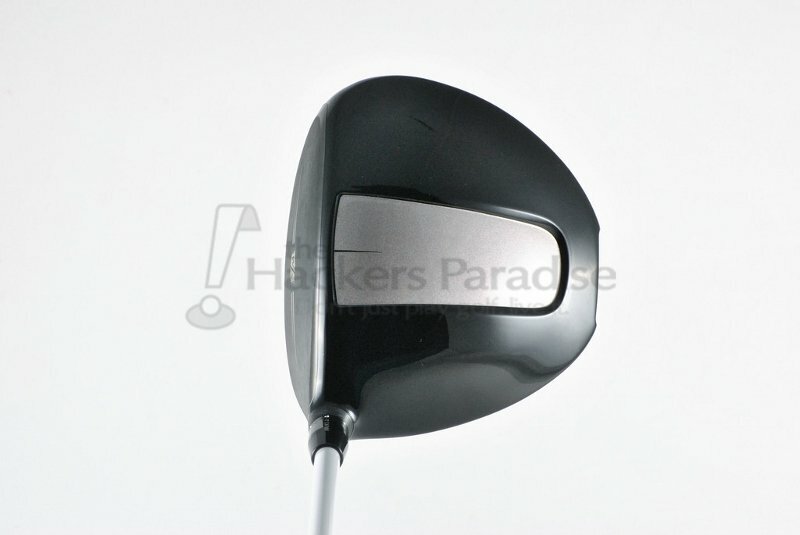 There was easily more buzz surrounding this driver than we have seen from a Wilson-Staff metal-wood in decades. Beyond that, the more that went out and hit it with a fitter, the more positive feedback came in. For this reviewer, that is the main aspect of this driver that cannot be overlooked, it is quite literally a tinkerer or a fitters dream if one has the time, patience, and desire to really tune in a setup that works for them and their needs more than just hitting the average needs of the masses. While the looks from the top are outside the box and the sound may not be what some look for, there is no denying that the potential of the Triton is one of the widest ranging for any driver release out there. They key is people being able to not just hit it in stock on the shelf form, but to truly get to adjust it and see what it can do. The Wilson Staff Triton is priced at $449.99 and is being offered with a plethora of different stock shaft options which can all be found at www.Wilson.com. Absolutely great review. I think you covered everything I would want to see in a driver review. Having hit the Triton but not under the eye of a fitter, I would love to go through a full fitting for the Triton. I loved following along with the t.v. show. I really hope they have another edition of this. Great review James. I agree on nearly every count. I do wish the driver sounded a little better and that I still had the 12g weight option, but otherwise I couldn’t be happier. The swingweight will easily be fixed by either a second hand 11g F5 weight, a shaft that isn’t backweighted, or a strip or two of lead tape under the plate. Enjoyed the review James. The Triton has intrigued me since its’ announcement. Look forward to one day getting out and trying it for myself. Another solid review Mr. Miles. 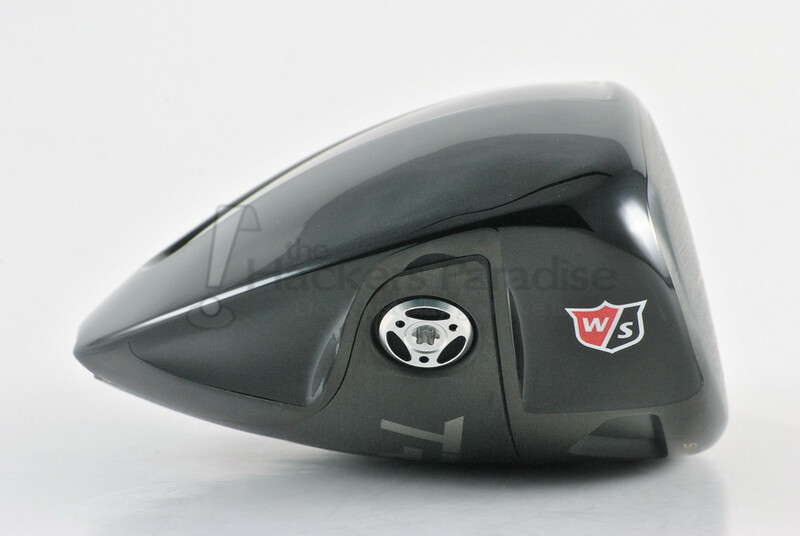 I have not hit this driver, but I definitely want to, the Wilson did a great job of the marketing with the Driver vs. Driver segment on golf channel. The interchangeable plates really interest me and the white alignment stripe on the top catches my eye. Also the fact that the USGA said it was nonconforming makes me want this even more since I can’t stand the USGA. Nice review. I particularly appreciate your frankness in acknowledging that the Triton will have swingweight issues thanks to the “prohibition” of the 12gr weights. I almost pulled the trigger on the nonconforming version. The carbon soled Triton with a 12/6/2 setup(12gr in the heal) was a beast. Alas, a 6/2/2 setup results in a swingweight of C-6. I have no interest in paying $450.00 only to have someone play around hot melting the heck out of what used to be a really good driver. This review of the Triton Driver from Wilson is the best , most detailed and best presented of any review on any Driver of any brand . I found it very sound and honestly dead on . I know I have tried the Driver and it’s awesome. Just curious, what is the difference in the sole plates. I purchased on and the carbon plate appears to be the older non conforming one. I dont worry about a handicap or play in sanctioned tournaments anymore so the fact its “illegal” doesn’t matter I am just wondering if maybe changes made to it would be better or worse for me.